2F/WINNIPEG/S/S June 22, offers June 26. O/H June 24 & 25 2-4. Beautifully maint'd and tastefully finished w/soft hues & designer touches. Boasts vaulted ceilings, 3 bdrm's, 3rd in basement. 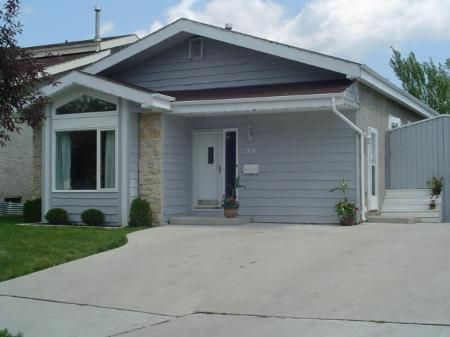 rec'rm w/br & bath, patio drs off, remodeled kitchen to west facing deck. Can be sold with or without above grd pool. Possession-TBA., Great St. Vital Home!